The Dodge Grand Caravan has been a cornerstone of the minivan segment. This minivan has long offered you safety, comfort, and entertainment, all while wrapped in a stylish and reliable design. You'll have plenty of room for your passengers in this minivan with the third-row, and the additional space for the cargo capacity. There is even Stow 'n Go seating arrangements available, which makes it easier than ever to maximize space, whether it be for more seating, or more room for any luggage or gear you may be carrying around. The 2018 Dodge Grand Caravan is very similar to previous model years, proving that Dodge has created a minivan that needs no consistent redesigns. For more information on the Grand Caravan, we encourage you to keep on reading! One powerful and standard engine is responsible for powering the 2018 Grand Caravan. 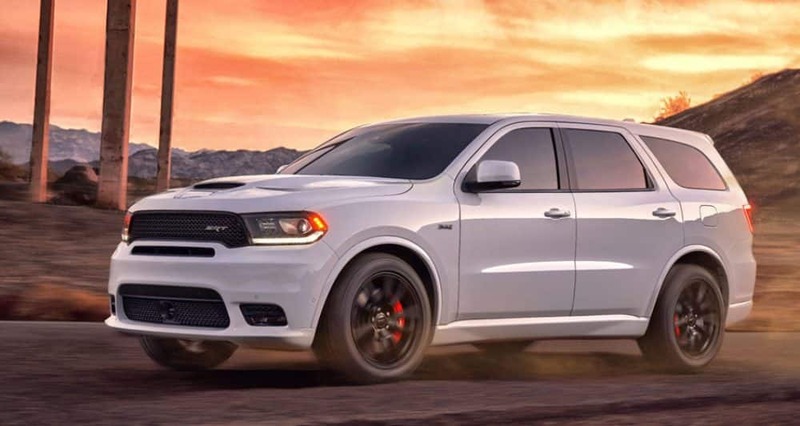 This engine is the reliable 3.6-liter V6 that generates up to 283 horsepower and 260 pound-feet of torque. This engine can work with either gasoline or E85, making it incredibly flexible. Paired with this engine is a six-speed automatic transmission that powers the front wheels. This engine delivers smooth power, and gives you great fuel efficiency! If you choose gasoline, you'll be getting 17/25 mpg. If you choose E85, you'll get 12/18 mpg. What safety features might I find in the Grand Caravan? You'll find many different safety features included with your 2018 Grand Caravan minivan. Some of these features include ParkView rear backup camera, an observation mirror, LATCH (lower anchors and tethers for children), child protection door locks, all-speed traction control, electronic stability control, a steel safety frame, active front seat head restraints, seven advanced airbags, and crumple zones! What trims are offered with the Grand Caravan? 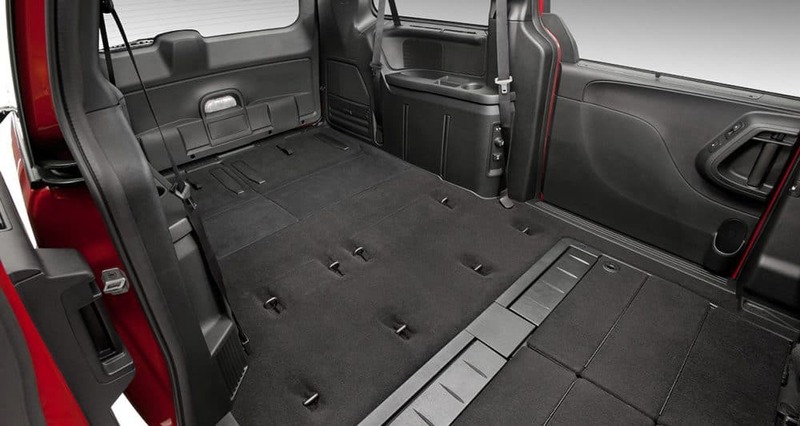 Four solid trim levels are offered with the Dodge Grand Caravan. These trims include the SE, SE Plus, SXT, and GT. The base trim, Grand Caravan SE, comes standard with entertainment features like an auxiliary audio jack, a six-speaker audio system, a CD player, and a 6.5-inch touchscreen display. Other standard features include cruise control, a conversation mirror, remote locking and unlocking, a rearview camera, a tilt-and-telescoping steering wheel with audio controls, full power accessories, heated mirrors, tri-zone climate control, 1-inch steel wheels, and a second-row bench seat. The Grand Caravan SXT, which is the perfect mid-level option, comes with a power liftgate, an eight-way power driver seat, power-sliding rear doors, chrome exterior trim, leather upholstery with suede inserts, a larger floor console, and roof rails. You can also add two package options: the Driver Convenience Group package, and the Blacktop package. The highest offering is the Grand Caravan GT. This trim comes with different wheels, a body-colored grille, black interior accents, an eight-way power passenger seat, voice controls, a performance-tuned suspension, heated second-row seats, an upgraded 9-speaker audio system, and a driver information center. The 2018 Dodge Grand Caravan is perfect for any family, and with many safety features, and a powerful standard engine, there's nothing stopping you from checking out this minivan! For more information, you can give us a call, or use the form below!